Top: All of the chapter leaders and NYFC staff. Middle: NYFC executive director Lindsey Lusher Shute addresses the chapter leaders. 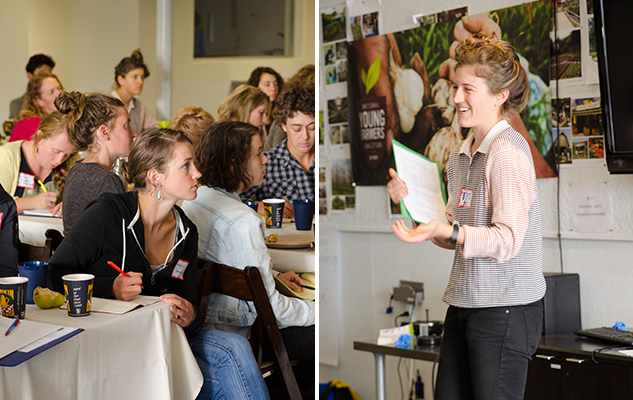 Bottom: Tess Brown-Lavoie of the Young Farmer Network of Southeastern New England addresses the group. Tess is also an NYFC board member. 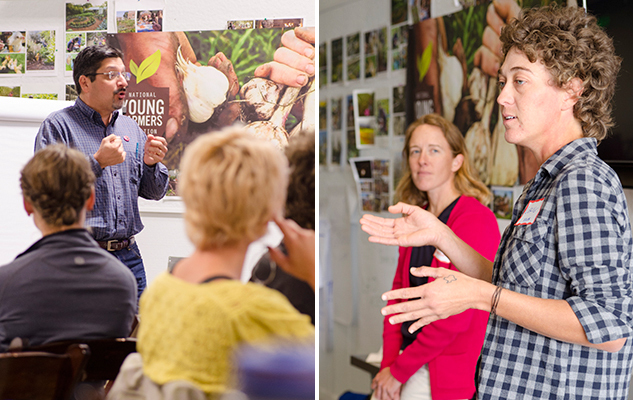 Last week was a momentous one for the National Young Farmers Coalition: we hosted our first National Chapter Leader Convergence, an event that brought the leaders of 25 chapters from 25 states together for three days of education, sharing, and momentum-building. 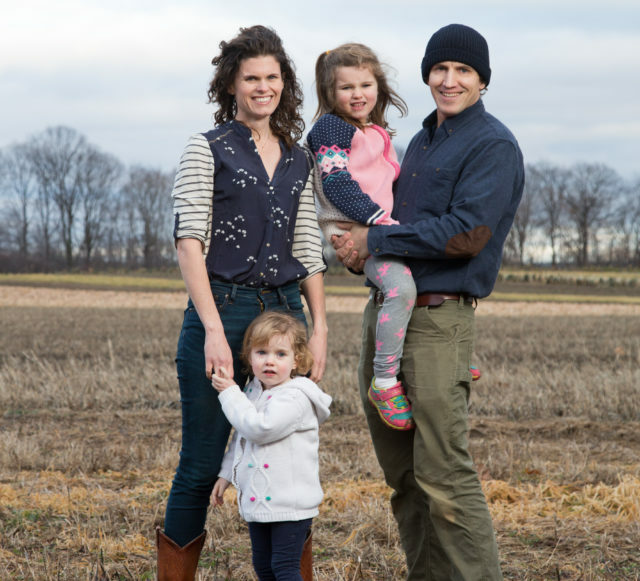 NYFC was founded in 2010 to give young farmers a united voice as advocates for their own interests and to facilitate community building on the local and national level. Chapters serve both of these purposes. 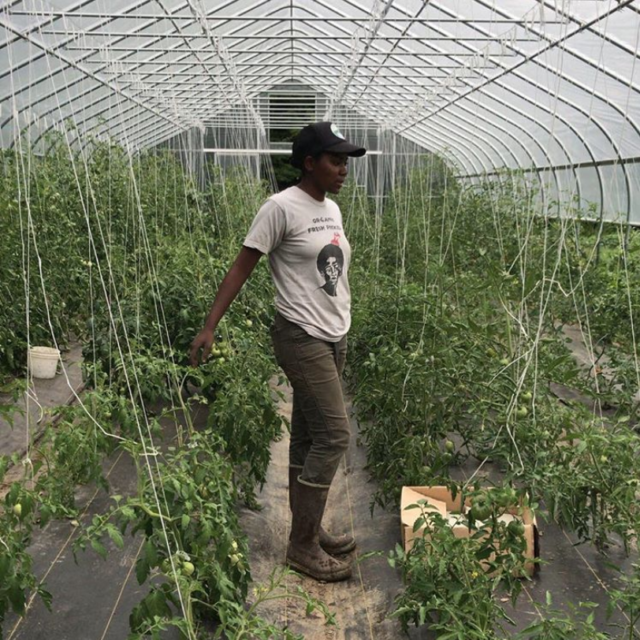 A farmer who is 25 or 35 will often find that she is the youngest farmer in her community by a margin of two decades or more. Farming can be a fundamentally solitary profession, and this age gap (the average American farmer is 58.3 years old) can further isolate young farmers, preventing them from building a community of peers who are facing similar struggles. 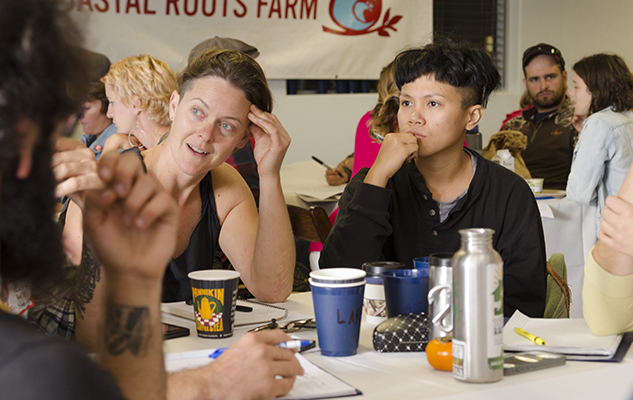 Chapter organizing offers farmers a way to find each other, build community, work together on difficult farm projects, and advocate for local and national policy change. A few young farmer chapters were already in the works before NYFC was founded, but now there are a total of 29 chapters in 26 states. NYFC acts as a national hub for these organizations, giving members a voice in Washington and providing support and promotion for local efforts. Last week’s Convergence marked the first time the chapter leaders have been in the same room with each other and with our staff, and we used the time to discuss organizing, national policy, advocacy, communications and media relations. 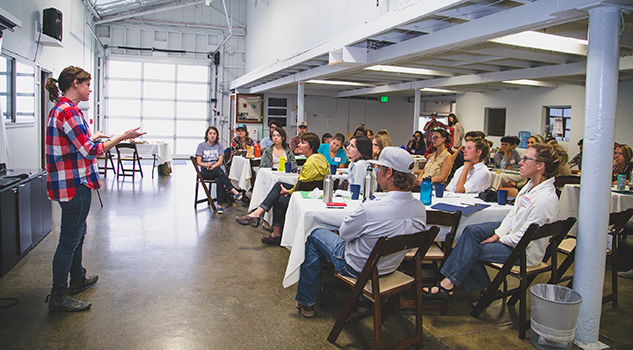 The event was held at the Leichtag Foundation‘s property in Encinitas, California, which is also home to Coastal Roots Farm. 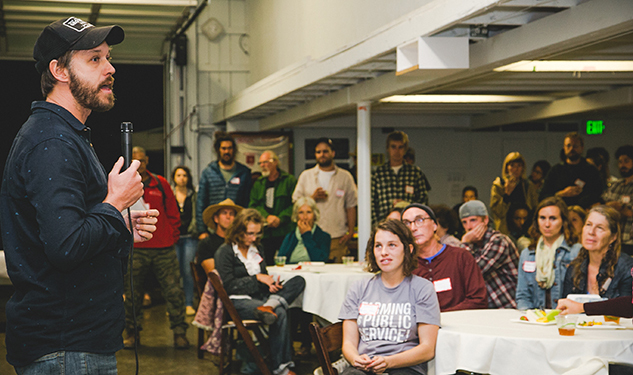 On the first evening of our gathering, we opened the doors to the local community and hosted a mixer for more than 100 young farmers and supporters. There was pizza, there was community, and there was even some rain, an event the California locals considered a minor miracle. Top: Jean-Martin Fortier speaking at the mixer. Middle: Leaders gather in small groups to workshop local policy issues. Bottom: Roman Pinal of United Farm Workers and Lorig Hawkins of the Texas Young Farmers Coalition addressing the chapter leaders. We are already looking toward next year’s Convergence, an event that will inevitably be a little larger as more chapters are founded. If you would like to start a chapter of your own, visit our organizing page to learn more and to get in touch with us. Also check the list of chapters on our website to see if there is already a group in your area. We owe a debt of gratitude to the Leichtag Foundation for hosting us and supporting the event. We are also grateful for our two keynote speakers, Jean-Martin Fortier, author of The Market Gardener; and Roman Pinal of United Farm Workers. Thanks also to our in-kind supporters, Chipotle, Stonyfield, New Belgium Brewing, Amy’s Kitchen, Woodstock Foods, Once Again Nut Butters, and Crofter’s Organic.